Every year our family gets together for a large family reunion during Labor Day weekend. Family members stayed in all three of the Fairhaven properties this past weekend. All three houses are extremely nice - well appointed, clean and well maintained. Great location - within walking distance of the beach and the Nye Beach retail area. At the end of the weekend, we all agreed that we would love to stay there next year! Three homes side by side. Located on the corner of Coast St. and Olive St. in the popular Nye Beach District of Newport. I built and manage these homes , I have been doing so for over 25 years and have lived in the community for over 45 years. I have two other properties listed here. My Wakefield and my Applegate, 4975086 and 4972248. They are both four bedroom two bath, fully furnished homes with hot tubs. Located a block back from the beach entry, Restaurants and Shops in a five block radius, Kids park across the street. I offer competivie pricing based on length of stay. So make an inquiry and we can discuss it through this site. Victorian Style Home located in the Nye Beach District , fully furnished with private hot tub. Ocean Views ( Nye Beach ) Great Restaurants all within a five block radius. Working Bayfront just blocks away ( fresh seafood year round ) Great Storm Watching (Yaquina Head Lighthouse less a half mile from homes ) Oregon Coast Aquarium and Marine Science Center just over the bridge. The reviews that appear here are also for those two properties. Give us a try . Newport Oregon’s Nye Beach District offers many fine restaurant choices, local shops, live music, surfing, sailing, hiking, biking, FRESH LOCAL SEAFOOD, deep sea fishing charters. Newport’s Nye Beach offers five miles of wide sandy beaches with convenient public beach entries. Nearby Agate Beach, Moolach Beach, South Beach offer many more miles to explore and enjoy. Newport’s Nye Beach nearby Performing Arts Center and Visual Art’s Center add to the general ambiance of the neighborhood. Location , Location, Location It's always been about the beach and now add to that Nye Beach. I've lived here for 45 years and it continues to amaze me. Truly one of the most beautiful spots on earth. The Nye Beach Area was long considered at the turn of last century ( 1880-1900) a destination for valley travelers escaping the summer heat. Falling into a funk for several decades the area is and has been experiencing a renaissance as people discover what has never changed. The Beach its there and its wonderful. Come and enjoy it . Located just a short block from five miles of wide sandy beach. You can walk one mile south to the North Jetty or four miles north to the Yaquina Lighthouse. 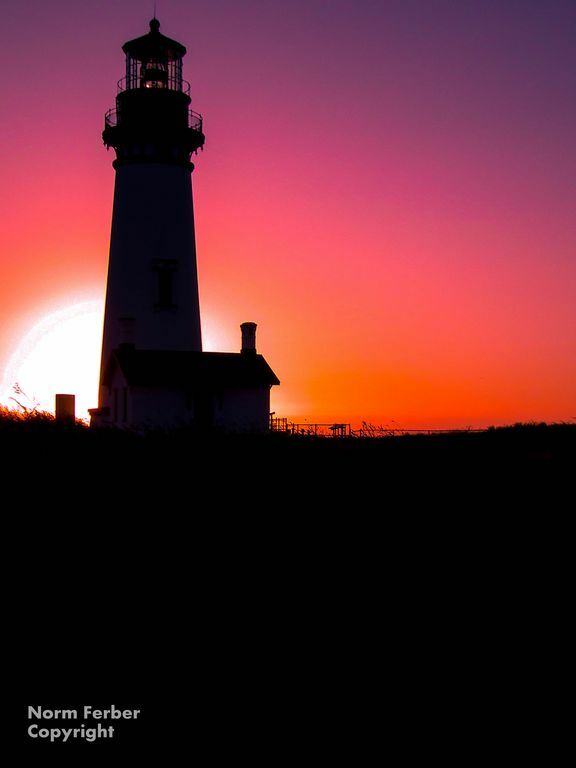 Excellent kite flying or great Surf spots are found closer to Yaquina Lighthouse. There are some spices . Mostly of the type that are not time sensitive. We have starter rolls of Paper towels, napkins, coffee filters, garbage bags, dishwasher and dish soap. The kitchen in our home is complete. They allow for the creation and execution of many of the meals you might associate with cooking your own meals at home. Clean, centrally located, spacious, ocean views! I travel to Oregon coast each March for an annual conference and for over the past decade have stayed in these lovely condos. They are centrally located near all the best shops and within blocks of the beach. The condo is so spacious with the upstairs and downstairs that many guests can still enjoy privacy. The breakfast bar and dining area are pleasant, the living room is full sized with a nice, cozy fireplace that turns on by the turn of a dial. There’s a stereo for entertaining and a quiet corner by the large bay windows with a wicker chair for rocking and meditating as the sun rises. All the dishes are included, along with little condiments in the kitchen cupboard. Towels are downstairs next to the stacking washer and dryer and in ample supply as you will need them after soaking undr the stars in the outdoor jacuzzi! We enjoyed the atmosphere of the condo and it’s location is prime. I highly recommend this condo to any and all who come to New Port Oregon. The rates are excellent and all you have to do is strip the beds and take out the trash when you leave and they do the rest. Top notch!! I will certainly return next year and years to come. This was a beautiful house that was steps from the beach. Great view. We enjoyed the hot tub and grill. The house was spacious and close to our training venue. Norm was the perfect host replacing the broken coffee pot immediately and texting inclement weather updates. Clean and bright in a great location! The house was very clean and inviting! It was nice to find something so lovely that would accept large dogs. Location was perfect with a short walk to Nye Beach and shops. Cafe Mundo and Nana’s Irish pub among other great eateries are just down the road. Norm made checking in and out a snap. I would definitely recommend this rental! The Bennington House was a very nice property. The rooms were all very nice and well decorated. the house was clean, and the beds were comfortable. The location was excellent. It is in walking distance to the quaint Nye Beach neighborhood, some lovely shops, some great places to eat and is just across the street from the Performing Arts Center. Access to the beach is just a block away. The owner of the property was also very friendly and helpful when I made my reservation. I highly recommend the Bennington House. I hope to stay there again soon. Bill thanks for staying in our Bennington house. And thanks for the very nice review. I look forward to your next stay with us. Very nice stay at the Bennington!! The layout was beautiful and hot tub was a plus!! Thanks Norm for all of the appointments. We’ll keep it in mind for next visit. Linda thanks for staying in our Bennington home. And thanks for the very kind review. I look forward to your next stay in our homes. This house was perfect for what we needed. It is close to the beach so you can try to fly kites (it was too windy for us); close to TONS of great restaurants, has a beautiful porch off the back room which also had the hot tub. The beds were comfortable except the one in the Garden room, but as soon as I told the owner, he investigated and fixed the problem. The owner is an incredibly nice man who seems to be the main caretaker as well as the owner! No wonder the house was so beautifully cared for! There is a ton of entertainment available in the house too: movies, games, TV, WiFi are all available. I highly recommend this house and Fairhaven Vacation Rentals. From arriving to leaving the trip and service was fantastic! Melanee thanks for the great review. You and your family were wonderful guests. Please come and stay in our homes again. Norm Ferber owner Bennington, Applegate and Wakefield homes. that brought earlier tourists-Beautiful Sandy Beaches. $200-300 per night $125 cleaning fee 11.5% room tax Cancellations made within 45 days of the arrival date are subject to forfeiture of the deposit unless the property is fully re-booked. All other cancellations will be charged a $50 cancellation fee. If you book more then one home our cancellation period increases by 30 days for each additional home.